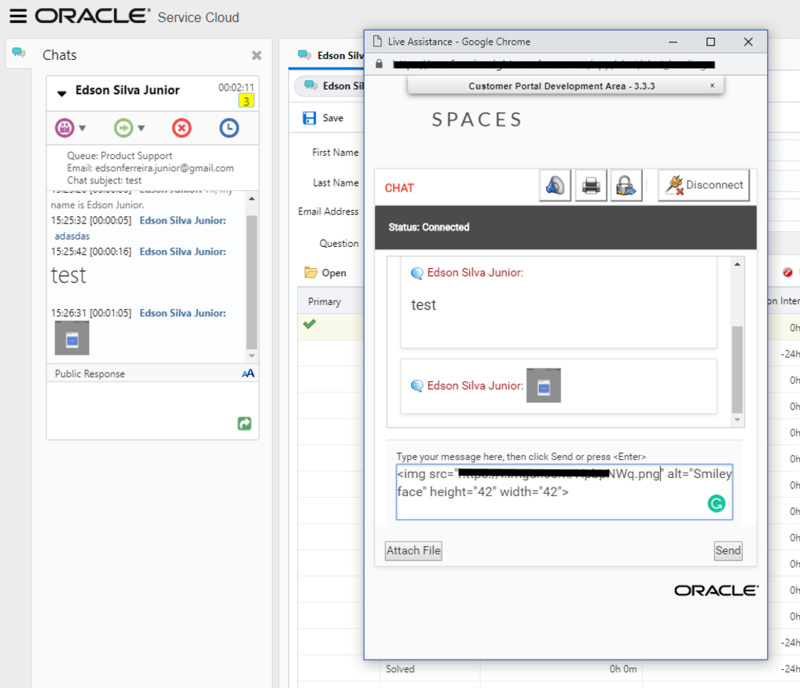 I want send a picture from customer portal chat page to Right now chat agent, when I send message like "<img src='' />",web page shows the picture correctly,but agent page does not show picture,it only shows message like text as "<img src='***' />". Can you give some suggestions for agent show the picture correctly? thank you. I want to encourage you to adopt BUI and see how it works for your agents. You can accomplish this requirement in BUI as my example below. I am pretty sure this is working as expected unfortunately. The chat transcript is not design to interpret HTML. I remember that the end user could include HTML links to images on the agent's computer and weirdly enough those were being displayed. But for external images, agents would have to copy the URL in "src" into a browser to see the image. About what you said "I remember that the end user could include HTML links to images on the agent's computer and weirdly enough those were being displayed. " , Can you show me the html code as you said ? thank you . But the agent only use RightNow client, not use BUI.